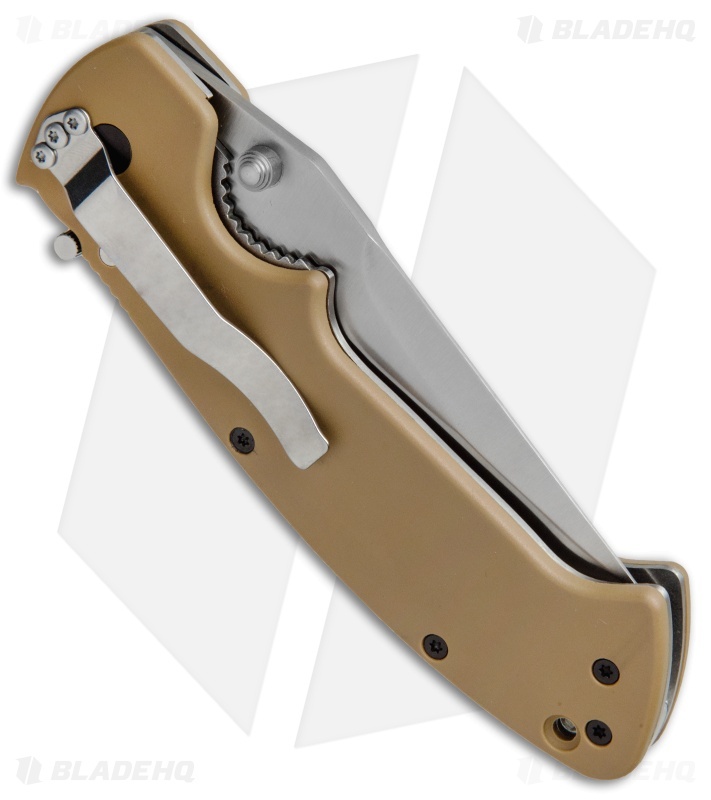 This Crawford/Kasper model features a plain edged satin finished blade and tan Zytel scales. This Crawford/Kasper designed knife from CRKT is a stellar design specifically made for close quarters combat, but is also useful for other general purpose chores. 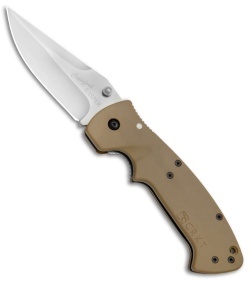 The satin finished blade has a plain cutting edge and sports dual thumb studs. The handle is a Kasper design with finger grooves and jimping up top. 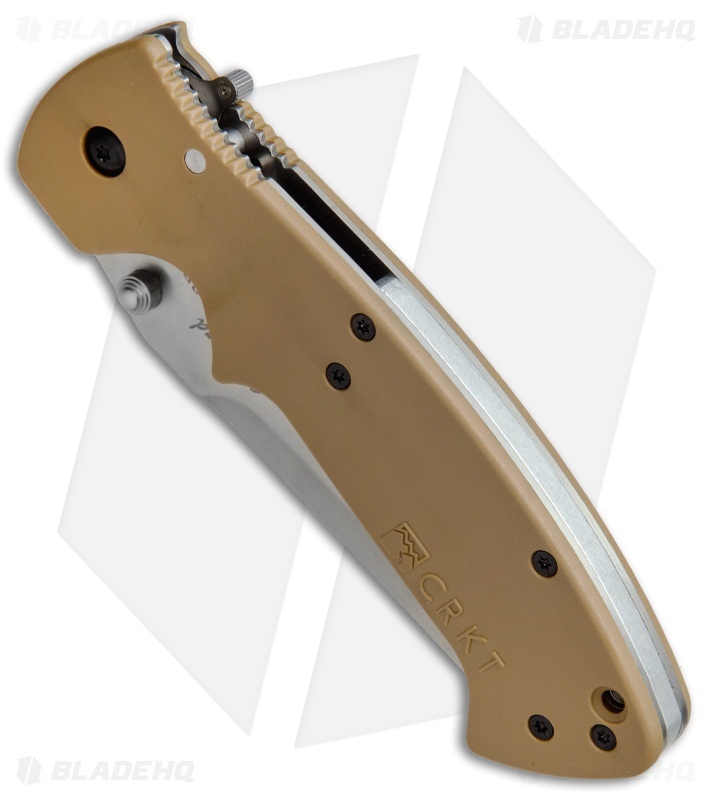 The Zytel scales are set over a thick steel liner lock frame with CRKT's patented LAWKS that transforms the knife into a virtual fixed blade. Includes tip-down pocket clip.